On Feb. 7, Philadelphia County Court of Common Pleas Judge Kenneth Powell granted a motion for summary judgment from Theresa M. Mullaney of Kent & McBride, counsel for defendant Colgate-Palmolive Company. This comes after Powell refused to let the plaintiff’s expert testify that Cashmere Bouquet-brand cosmetic talcum powder, made by Colgate, caused Sally Brandt’s mesothelioma - a deadly cancer linked to asbestos exposure. Powell’s one-page order granted the defense’s renewed request for judgment, filed after Powell disqualified the plaintiff’s expert, Dr. James Millette. “Now that Dr. Millette’s testing opinions have been excluded, Ms. Raterman (an industrial hygienist testifying for the plaintiff) has no foundation for her opinion, and Plaintiffs have no other expert testimony that could create a triable issue on the question of whether Colgate’s product caused Ms. Brandt’s disease,” Mullaney wrote in Colgate’s motion. Despite a debate over the science, talc-asbestos cases have resulted in stunning verdicts around the country. Most notable of these is a $4.7 billion verdict in St. Louis against Johnson & Johnson on behalf of 22 women who were diagnosed with ovarian cancer. Legal Newsline previously reported that the plaintiffs’ attorney, Mark Lanier of Texas, used unorthodox props like a block of cheese to convince the jury that the science was on his side. 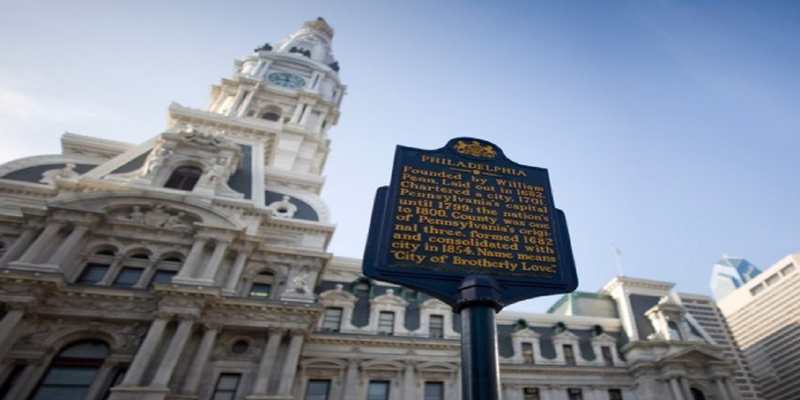 Verdicts in Philadelphia have been a concern for business and legal reform groups. Just last week, a jury awarded $25 million in punitive damages as part of a $41 million verdict in a pelvic mesh case. Defendants have vowed to appeal. The city has long been a target for pharmaceutical lawsuits from out-of-state plaintiffs, as its Complex Litigation Center houses thousands of Risperdal and Xarelto cases. The Brandt talc case dates back to December 31, 2015, and was filed by Charles Brandt of Duncannon, as executor of the estate of Sally Brandt against Bon-Ton Stores, Inc. (doing business as “Pomeroy’s Department Store”) of York; Charles B. Chrystal Company of New York City; Colgate-Palmolive Company of Harrisburg; Whittaker Clark & Daniels of Newark, N.J.; and Imerys Talc America, Inc. of Wilmington, Del. The case alleged that Sally developed mesothelioma from Cashmere Bouquet-brand cosmetic talcum powder, manufactured by Colgate. This causation argument was supported by opinions from four experts, geologist Sean Fitzgerald, pathologist Ronald Gordon, industrial hygienist Raterman and pathologist John Maddox. Fitzgerald and Gordon both previously stated that they claimed to have found asbestos in test samples of Cashmere Bouquet talcum powder. However, after a Frye hearing, their opinions were deemed unreliable due to “numerous methodological flaws” in their research and excluded from future testimony on September 25, 2017. As a result, Colgate-Palmolive filed a motion for summary judgment on November 16, 2017, arguing that the exclusion of Fitzgerald and Gordon’s opinions ensured the plaintiffs had no evidence to create a triable issue of fact that Sally was exposed to asbestos through using Cashmere Bouquet-brand talc, and that this caused her mesothelioma. Plaintiff counsel, the Locks Law Firm of Philadelphia and Waters & Kraus of Dallas, countered that Raterman’s opinion of Sally being exposed to asbestos fibers at levels “significantly greater than background concentrations” led to an increased risk of her developing mesothelioma. Though this perspective relied partially on the excluded research and testing of Fitzgerald, plaintiff counsel claimed it was supported by other evidence - specifically, air test sample results from non-testifying expert witness Dr. James Millette. This led the Court initially to deny Colgate's motion for summary judgment on Oct. 2 of last year. However, the Court later excluded Millette’s airborne concentration opinions on Feb. 1, ensuring they would not be considered “of record” in the case – and thus, leading Colgate to renew its motion for summary judgment on Feb. 6. “Where the plaintiff fails to proffer evidence to create a triable issue as to whether she was frequently and regularly exposed to significant airborne concentrations of asbestos from the defendants’ product, summary judgment is warranted,” the defense motion for summary judgment read, in part. “Here, even assuming arguendo that the Cashmere Bouquet talcum powder that Ms. Brandt used contained some level of asbestos – and it did not – plaintiff cannot support a claim against Colgate, because they have no evidence that could establish that Ms. Brandt was exposed to airborne concentrations of asbestos from the product at levels sufficient to cause her disease.